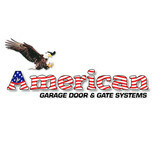 *Authorized Clopay Dealer* Welcome to American Overhead Door! We've professionally replaced, repaired and serviced overhead garage doors in the Colorado Springs area since 1985. Our family-owned-and-operated business specializes in residential as well as commercial overhead garage door replacement and repair. Garage doors hold a certain power. They hold the power to fully transform the way a home looks and feels, and they hold the power to boost a company’s productivity. At American Overhead Door, we know and understand the power garage doors hold. We are the Colorado Springs garage door provider you can trust for products of the highest quality and exceptional customer service. For overhead garage door installation, service, repair, maintenance and related needs, get in touch with American Overhead Door. When you experience garage door issues at your home or business, those issues can represent a significant slowdown in your life or productivity. We offer 24-hour emergency overhead door repair, so we can respond to your needs with the urgency they deserve. Whether it’s a garage door opener, broken cable, broken spring or something else entirely that’s slowing you down, contact American Overhead Door for the fast, effective overhead door repair service you require. We are a family owned and operated full service Garage door company, just as our name states. Founded by Dan and Kyle, a father and son duo. We've since branched out with help from Dan's two daughters, some of their friends, and the most recent addition: a new son-in-law, Mike. We take pride in our work and family name, and we appreciate your support in our business. Our company is based on the belief that our customers' needs are of the utmost importance. Our expert Garage Door Repair and new Garage Door installation team is committed to meeting all of your garage needs. As a result, a high percentage of our business is from repeat customers and referrals. 5280 Residential Garage Doors has been servicing Littleton, CO and the Denver metro area since 2010. We specialize in garage door repairs, garage door springs and new garage door installation, sales and service. We are an insured Littleton, CO business. Main service areas include Littleton, Arvada, Bow Mar, Centennial, Columbine, Denver, Englewood, Golden, Highlands Ranch, Ken Caryl, Lakewood, Morrison, Roxborough Park, Sheridan, and Wheat Ridge, Colorado. We sell and service all major brands. All the services, hardware and accessories we offer come with a warranty. Homeowners often underestimate the aesthetic value of garage doors, but they’re actually a great opportunity to boost a home’s curb appeal. That’s where garage door sellers and installers come in. Whether you are building your first home or remodeling an existing one, a garage door dealer in Highlands Ranch, CO can help you choose a stylish garage door that will enhance your home’s exterior and provide security for your car and belongings. What kind of services do Highlands Ranch, CO garage door dealers and installers provide? Find garage door sellers and installers in Highlands Ranch, CO on Houzz. Narrow your search for Highlands Ranch, CO garage door sellers and installers by selecting the nearest city or zip code. Look at portfolio and product photos, and read reviews to find the best Highlands Ranch, CO garage door professional for your home.